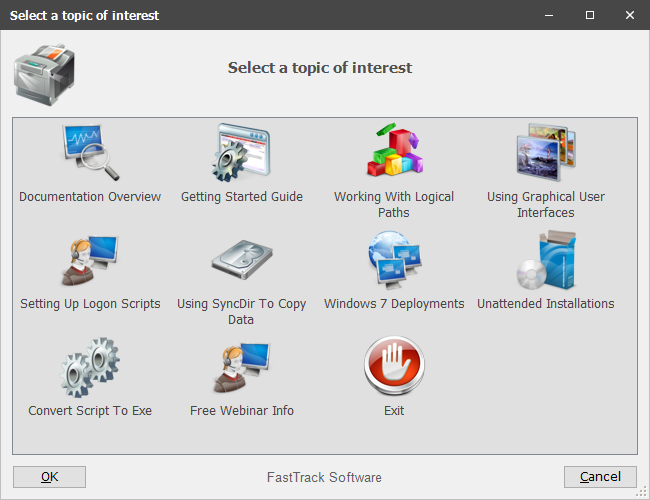 The graphical user interfaces (GUI) capability is one of the most important parts of FastTrack and is one of the things that makes it very different from all other scripting languages. User interfaces are important because that is what users see, and based on what they see, they will make judgment of your work. They cannot appreciate your implementation details of a script; they can only judge your work by what is presented to them. Traditionally scripting is GUI-less for a number of reasons. One being that few network admins have any graphics skills or sense of good form layout at all. 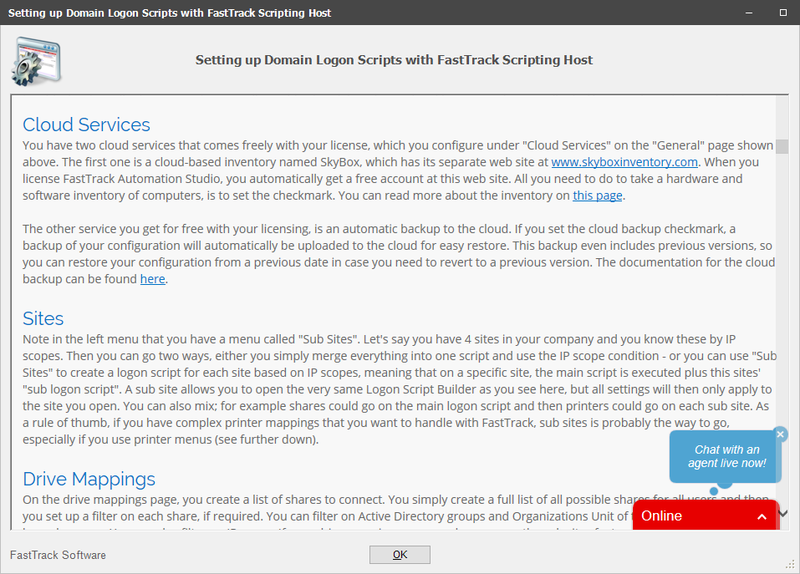 FastTrack Scripting Host has pre-build professionally looking user interfaces that can all be used simply by writing a single script line - and with your company name on them. Modern: This skin was introduced in version 12.0 and is inspired by Windows 10. It is default from version 12.0. Classic: This skin was the only skin existing up until version 12.0 and looks like Windows 7. To use it, you must use the SetSkin command. Our message now uses the "Screen" icon instead, as shown to the right below. Most user interfaces on this page have a company name note, as is the case above with ShowMessage. The name "Acme Corp Ltd" is replaced with your company name, so if your company name is "Rock America", the interfaces will have a "Rock America" note printed on them instead. By default the company name will be the company name from your license key, but the name can be overruled with the SetCompanyName and SetDefaultCompanyName commands. If preferred, the text can be removed in general by using the DisableCompanyName command. Using these commands will have effect on all subsequently shown user interfaces. The same way, commands for your corporate logo can be set by using the SetCompanyLogo command. This will use your company logo on all user interfaces, unless another logo or icon file is explicitly used. Apart from the ability to decide the company name displayed on the user interfaces, you can also customize just about everything else. If you look under "Graphical User Interfaces" and "General Settings" in the script editor Engine Browser tree, you will find an array of commands to customize the appearance of the user interfaces. You must issue one or more of these commands prior to displaying a windows to change the default appearance. Below is a complete list of commands from version 8.2; please consult the Context Helper in the script editor for more details on each command. SetScreenPos/RestoreScreenPos Sets or restores the window position for all windows, except for message boxes. SetWindowSize/SetWindowScale Sets the size of windows. Especially useful for menus. SetNextWindowSize/SetNextWindowScale Sets size of windows, but only for the next windows that is displayed. RestoreWindowSizes Restores window sized back to default sizes. SetBodyColor/SetBodyFont Sets the color or font of body text and menu text. SetMenuItemBackColor/SetMenuItemForeColor Overrules the default colors for individual menu items. 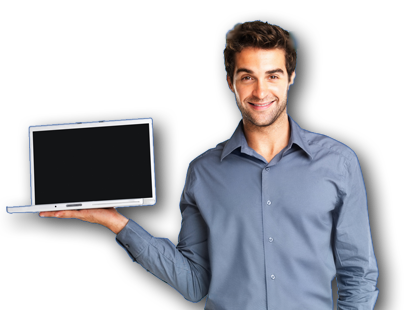 SetBackgroundImage/ResetBackgroundImage Sets or resets the background image on all graphical user interfaces. SetHeaderColor/SetHeaderFont Sets the color or font of header text. SetCompanyName/SetDefaultCompanyName Sets the company name shown on user interfaces. Is by default your licensed company name. SetCompanyLogo/SetDefaultCompanyLogo Sets the company logo shown on user interfaces. SetMenuDefault Pre-selects a menu item. Especially useful for selecting the default printer in printer menus. SetMenuHeaderIcon Overrules the icon displayed in the header of list menus. SetRollingWindowEffect/SetSlidingWindowEffect Sets the visual effect for showing and hiding windows. By default, a 200 millisecond duration fade effect is used. The effect and duration can be set using these commands. RemoveWindowEffect Removes the visual effect for showing and hiding windows. The Menu function is used to present a list of choices to the user and perform an action based on the choice. The menu function takes a list of parameters and each parameter can be prefixed with an icon name, in which case icon name and display value must be split by a pipe sign. 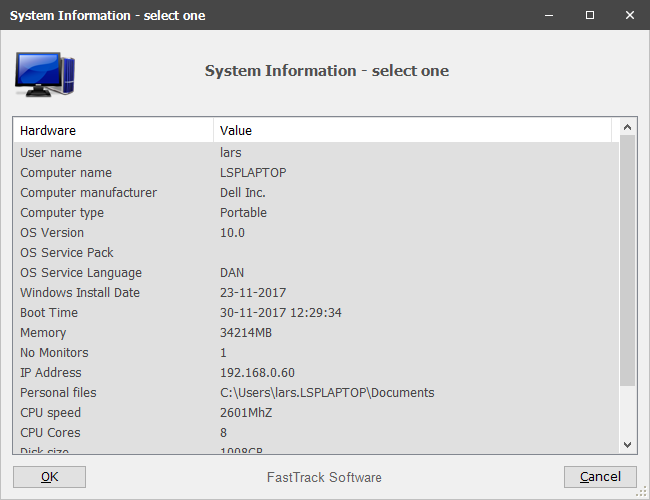 The example below is from the demo script that is located in the installation directory of FastTrack Automation Studio. For simplicity, only the first three menu items are included the script below. 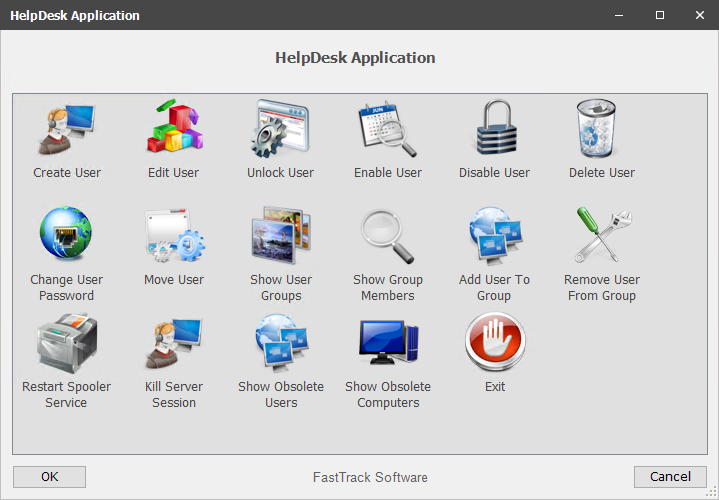 Another example of using a menu actively is the HelpDesk Application example that looks as shown below. Please click here for script details. If a list is preferred over a menu with graphical icons, the ListMenu function can be used much the same way, except that it does not have the option of icons. The List command is the same as the ListMenu function except that is does not return the selection. A list menu has an icon at the top, which can be overruled with the SetMenuHeaderIcon command. In the example below, the "Printer" icon is selected to overrule the default icon. The variable "Location" will contain the full name of the selection. When working with the Menu function, variables will naturally be short, but when using ListMenu, the listed options can be long and unfit as variable values. If the returned variable value is preferred to be different than the displayed value, values can be prefixed with a variable name and a pipe sign. If the value "Reception" was specified as "Rec|Reception", then "Reception" would be shown, but "Rec" would be the value of the location variable, if "Reception" is selected in the list. The default selection can be set with the SetMenuDefault command prior to using any type of menu. 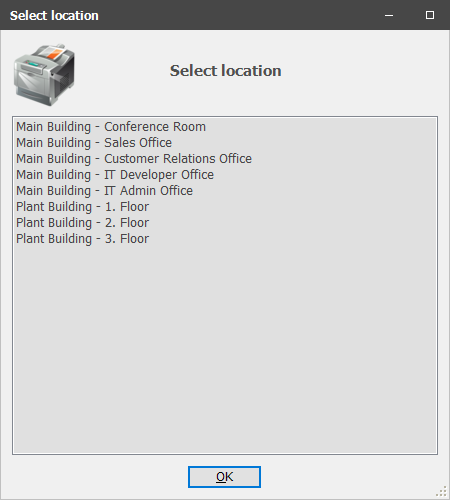 In this case, if the previous printer location was saved to registry, then the last selected location could be selected by default. Menus are not sorted by default, but sorting can be enabled for any type of menu with the EnableMenuSorting command. DoubleListMenu is similar to the ListMenu function, except that the list of values must be in pairs of two, where the left-side value is returned as the selected value. The first parameter is the header text and the next two parameters are the left and right column header names. All subsequent parameters must be in pairs of two as the list to display, meaning that every second value is displayed to the left. The DoubleList command is the same as the DoubleListMenu function except that is does not return the selection. The script listed below is a modified version of the documentation menu from the demo script. The list of choices is stripped down to the first and last option for readability. The Progress command is used to show the progress of a lengthy process with multiple steps, for instance an installation. The progress command is expected to be called a number of times during execution to update the percent completed and optionally the caption and body text. Below is a slightly tweaked version of the progress lines from the demo script. The sleep statements are there only to simulation consumption of time instead of doing actual work. The first parameter is the only mandatory parameters and updates the progress completion percent. The rest of the parameters are for optional updating of the header caption, body text and the displayed icon. Progress 20,Installing the Acme Corporation software. [Return][Return]Remaining time: Approx. 4 minutes. Progress 60,Downloading updates for Acme Corporation software. [Return][Return]Remaining time: Approx. 2 minutes. Progress 80,Applying updates for Acme Corporation software. [Return][Return]Remaining time: Approx. 1 minute. There is also a command called ProgressTo. This command will set up a timer that will gradually increase the shown percent within a certain timeframe. This is useful for installations, where it is possible to make a qualified guess of the total time that will be consumed before the installation is complete. A splash screen is another method of telling the user that something is going on, usable for for instance a logon script as shown in the movie here. There are two splash commands: Splash and SmallSplash, as shown below. Splash can be skinned by giving the name of an image skin file or an icon file that must be up to 128x128. The CountDown condition tells the user that an action, typically a forced reboot, is required. If the user is not present or for other reason does not react within a defined number of seconds, the condition is true. If the user does cancel within the number of seconds, the condition is false. There are two similar commands that look similar: WaitForAcceptance and CloseApplication. WaitForAcceptance is used to wait the user to accept a reboot or similar within a certain timeframe. The CloseApplication command will ensure that an application is closed. If it is not, a progress screen looking like the one above will be shown and if the user does not close the application within a certain timeframe, the application is forcibly closed. The MultiInput command is used, when more than one value must be entered. The first parameter is the header text and all subsequent parameters are presented as separated fields. When MultiInput is closed, a variable will be created for each field with the caption as the variable name. If a different variable name is preferred, the field name can be split by a pipe sign, where the left part is the new variable name and the right part is the displayed name. If any variable contained a value at the time of MultiInput execution, the field will be pre-filled with the current variable value. 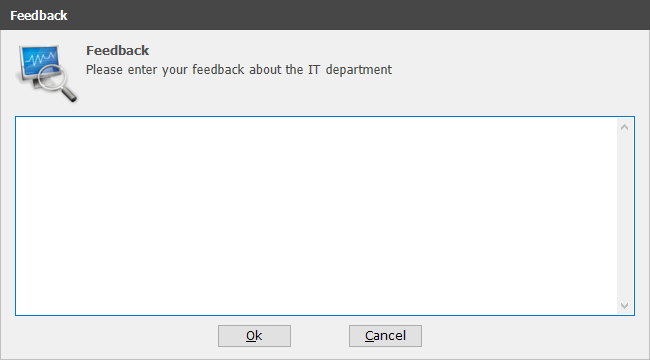 The example below is from the HelpDesk Application example, where the UserName parameter is split. SetMultiInputOptional Makes one or more fields optional. SetMultiInputMandatory Makes one or more fields mandatory (default). SetMultiInputCaption Sets a caption at the top of the window. Used to pass information to user about the form. SetMultiInputBackColor Sets the background color of one or more fields. SetMultiInputForeColor Sets the foregroud color of one or more fields. CreateMultiInputTextField Makes one or more fields appear as password fields (default). Used for resetting field types. CreateMultiInputMemoField Makes one or more fields appear as a memo field (multi-line text field). CreateMultiInputPassword Makes one or more fields appear as password fields. 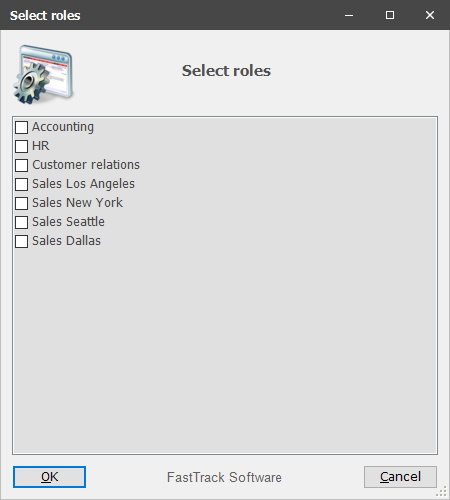 CreateMultiInputCheckBox Makes one or more fields appear as checkboxes. CreateMultiInputDropList Makes one or more fields appear as drop-down lists; must be issued one time per field passing the list of drop-down values. 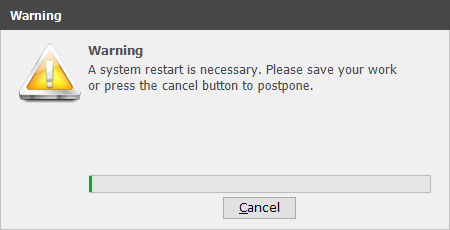 To detect if the user clicks the cancel button, use the condition MultiInputCancelled. A simple example of using MultiInput is the Help Desk app shown here. An example of advanced use using most of the above settings is the Outlook Signature App shown here. This example will look as shown below - observe that the screenshot is scaled to 50%. On the executing computer, the windows will scale to fit the screen resolution. 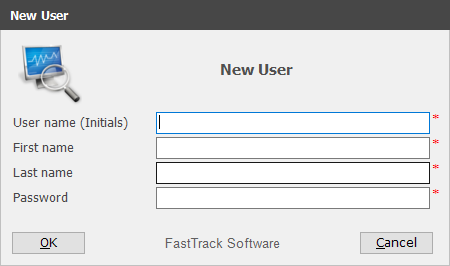 FastTrack can act as a remote desktop client. You can for example create a menu with choices and then upon a valid selection show the correct remote desktop with the ShowRemoteDesktop command. Once the user clicks the "Close" button, the script continues. The script to produce the above result looks a shown below, where the name "FastTrackServer" is an internal server. 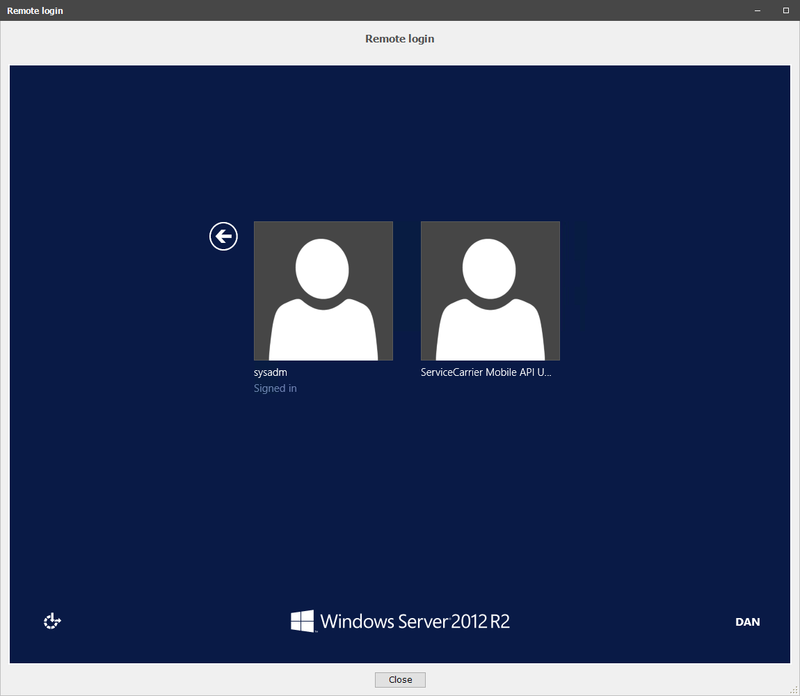 For a full-screen remote desktop, the ShowFullRemoteDesktop can be used instead. 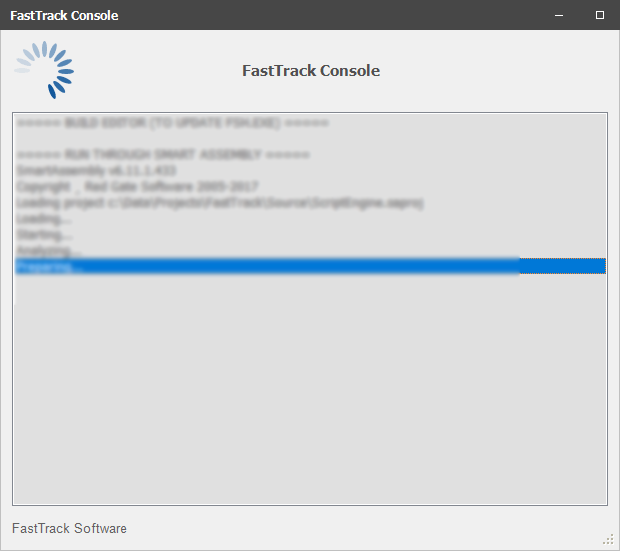 When working with console applications, FastTrack has a build-in console, as shown below. Please refer to this page for more information. Watch Senior Technical Writer Steve Dodson from Binary Research International walk you through the basics of the material presented on this page.